All of these classic movies like The Others have kept me up at night after watching them. I’m a member of the group that watches horror movies through my fingers most of the time. Your palms sweat, you start to move forward on your seat and before you know it ahhhh! They get me every time when the music gets intense, I just can’t. Looking to make tonight a movie night with a good scary movie. Check out this list of movies like The Others! 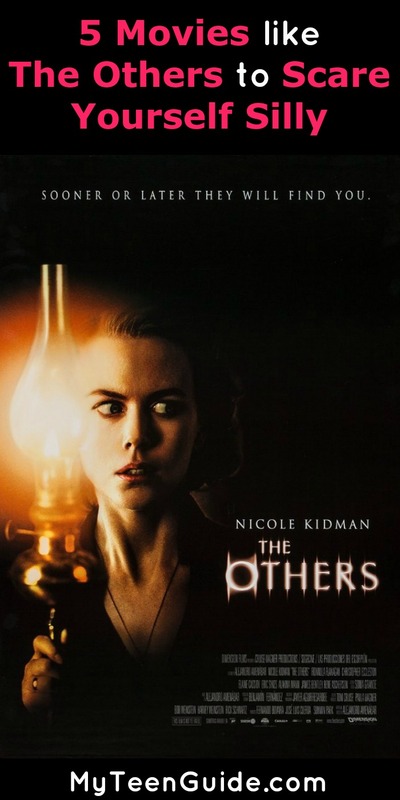 The Others is a 2001 supernatural gothic horror movie that stars Nicole Kidman as Grace Stewart, Alakina Mann as Anne Stewart and James Bentley as Nicholas Stewart. The movie focuses on Grace Stewart, a young mother of two who lives in an old country home and believes it is haunted. Here are some other movies like The Others. The Sixth Sense is a 1999 supernatural horror thriller movie starring Haley Joel Osment as Cole Sear and Bruce Willis as Doctor Malcolm Crowe. The movie showcases a young boy named Cole Sear who can see and speak with dead people. Cole seeks the help of a disheartened child psychologist named Doctor Malcolm Crowe. The Orphanage is a 2007 horror movie that stars Belen Rueda as Laura and Roger Princep as Simon. The movie focuses on Laura, who return to the closed orphanage she grew up in. Laura has plans to open the old orphanage and turn it into a home for children who are disabled. However, after an argument with her 7-year-old adopted son, Simon, Simon mysteriously disappears. The Grudge is a 2004 supernatural horror movie that is a remake of the 2002 movie Ju-On: The Grudge. It is the 1st in a series of 3 movies, with The Grudge 2 in 2006 and The Grudge 3 in 2009. The Grudge stars Sarah Michelle Gellar as Karen Davis. The movie is about Karen Davis, who is a nurse in Tokyo. Karen soon finds herself exposed to a mysterious and strange supernatural curse that causes a person to experience a powerful rage, until their life is taken and the curse is then passed from person to person. The Skeleton Key is a 2005 supernatural horror thriller movie starring Kate Hudson as Caroline Ellis. The movie showcases the life of Caroline Ellis, a hospice nurse who begins a new job as a caregiver at a plantation house in New Orleans, Louisiana. Soon afterwards, Caroline discovers a secret room up in the attic of the home, leading her to discover a mystery of the home’s dark past. The Devil’s Backbone is a 2001 gothic horror movie that takes place in 1939, the last year of the Spanish Civil War. The movie is about a young orphan boy named Carlos whose father died while battling the fascists in the Spanish Civil War. He is sent to an orphanage that he soon finds out is haunted and he uncovers some dark secrets of the orphanage. The Devil’s Backbone stars Fernando Tielve as Carlos. So tell me what other movies like The Others do you love? Have you seen any of these picks? The Sixth Sense is my favorite one, tell me your favorite in the comments!